I have a layout up on the American Crafts blog today for STITCHED week! Journaling says: What a silly little goofball! This is your "say cheese!" face! How to: Hand cut hearts from all the 12x12 patterned papers in the Stitched collection then sew down the middle of each heart. Die cut a few stitched hearts from softer, solid papers. 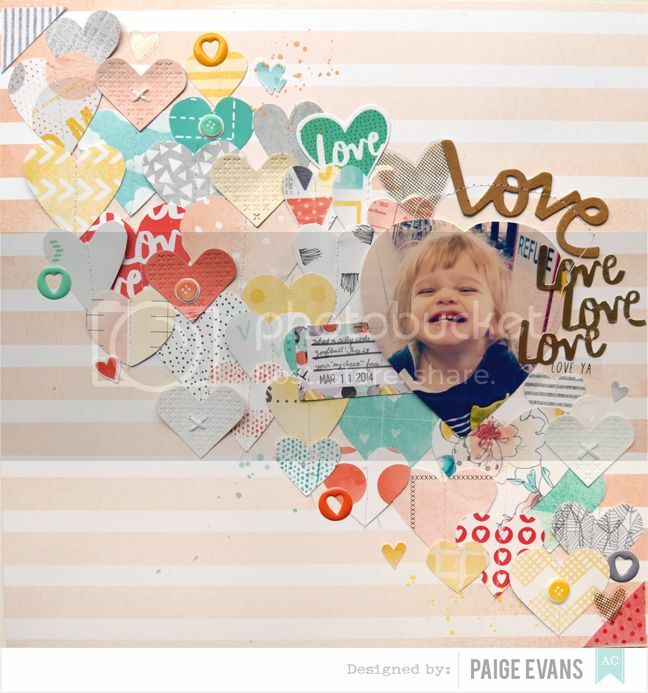 Adhere the hearts diagonally across a pink striped paper layout base. 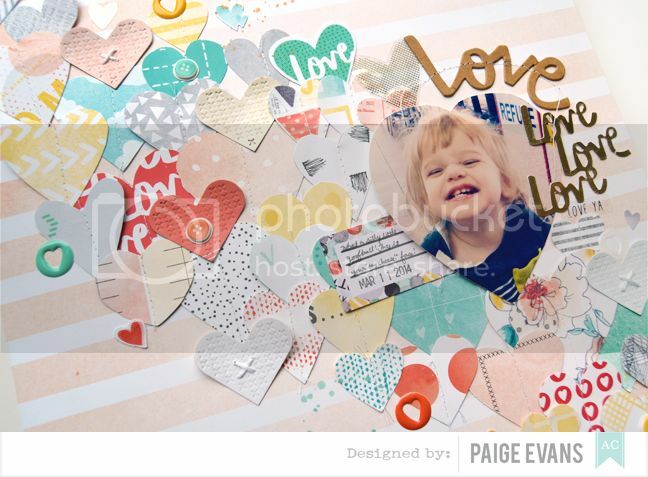 Trim a photo into a heart and add it to the mix. Sprinkle on some embellishments like die cuts, epoxy hearts, fabric stickers, puffy buttons, etc. Journal on a tag and tuck it under the photo. Stitch a Thickers title around the photo and stamp the date below the journaling. Use watercolors to drop paint around the layout. Love the collection, love your layout's design...but OH THAT FACE! I just keep smiling at that face. Soooooooooo gorgeous! I love love love those hearts!!!!! Awesome use of the Stitched collection, Paige! Love the fun heart design!! Love how you cut up and placed the hearts across the page. beautiful!